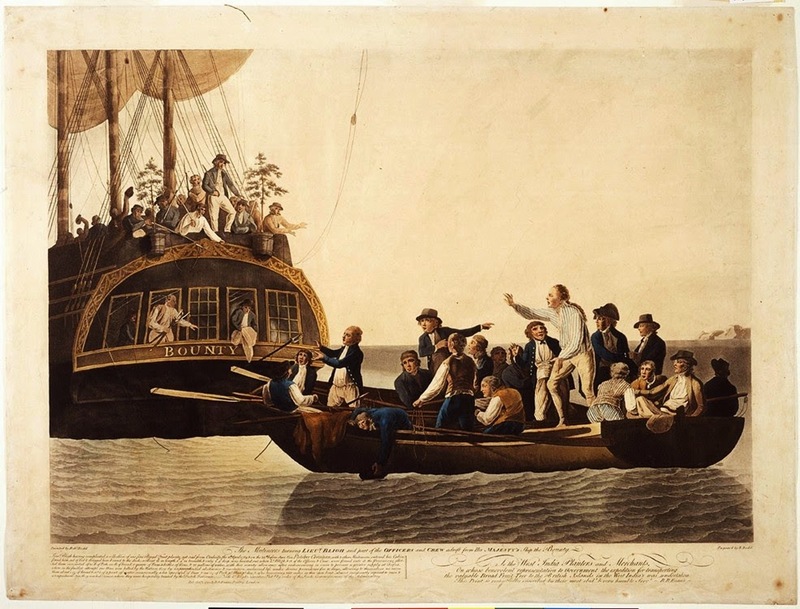 On this day in 1789, Fletcher Christian with 25 petty officers and seamen committed mutiny on the HMS Bounty, seizing the ship from a commander they believed to be oppressive. Against all odds, the bulk of both the mutineers and the men they set adrift after the mutiny, including Captain Bligh, survived. Bligh survived an incredible nearly two month, 3,600 mile voyage in an overcrowded, under-supplied 23 foot-long boat, and later successfully returned to Tahiti. While Christian and a handful of his men landed on Pitcairn Island where many of their direct descendants remain to this day. Like the men of the HMS Bounty, survivors can often feel the weight of oppression, in both body and soul, since we endure many traumatic events which are beyond our control over the course of our battle to survive. Therefore, mutinies can and do happen. We also fight long and hard odds ending up at destinations which had not been part of our original planned routes. Therefore, we adapt. It is natural to rebel against a crushing weight. It is rational to push back when pushed. Allow yourself these rebellions. They are part of how you will survive. Make room to give yourself the time and space to breathe, when you need it. Plans of action often need moments of inaction to refortify. Life has a definite way of leading us down different roads then we intended and forcing us onto paths we would rather not travel. But, we can find the strength to walk these roads and adapt to new environments. We have the ability to make choices along the way. To evolve and grow, as we battle and heal. We can change course when we need to. In the bigger picture, mutinies and destinations are mere moments in our complex journeys. Do not get weighted down in these moments. Find the beauty in having set sail in the first place.